Almost a year ago, we sat down with playwright/director Kareem Fahmy to workshop his play A Face in the Clouds. Ever since, we've become huge fans. 3/Fifths was a spectacular immersive carnival and cabaret through a dystopian ehtno-theme park. Not My Monster was a children's play at The Flea (written by our buddy Nick Gandiello). Regardless of subject matter or genre, his work is reliably incredible. That's why this month we can't wait to catch his latest directorial effort The Mecca Tales written by Rohina Malik at the Sheen Center in association with Voyage Theater Company. 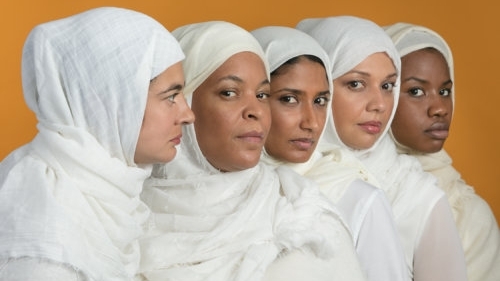 THE MECCA TALES tells the story of five Muslim women on the pilgrimage known as the Hajj. When their bus is stopped miles short of their destination, tempers flare and the women are tested in unexpected ways. They share their personal stories in an attempt to move forward in their lives and find meaning in a spiritual journey seemingly gone awry.